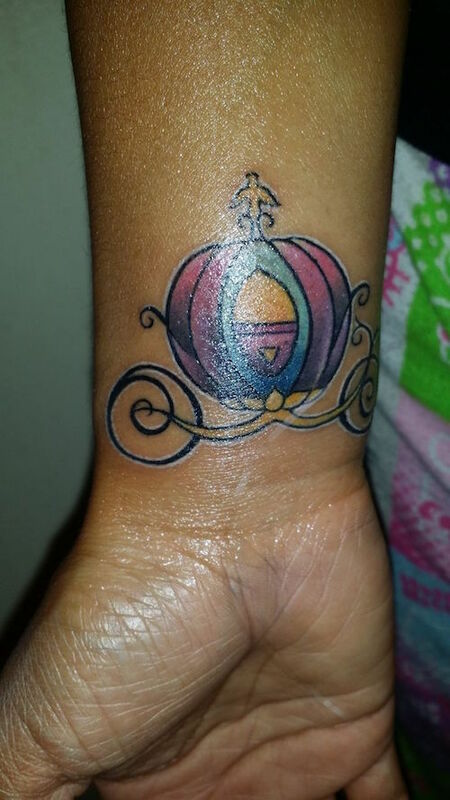 A lovely orange pumpkin with romantic cut out ornamentations is the perfect tattoo for someone who loves the story of Cinderella and the season of fall. 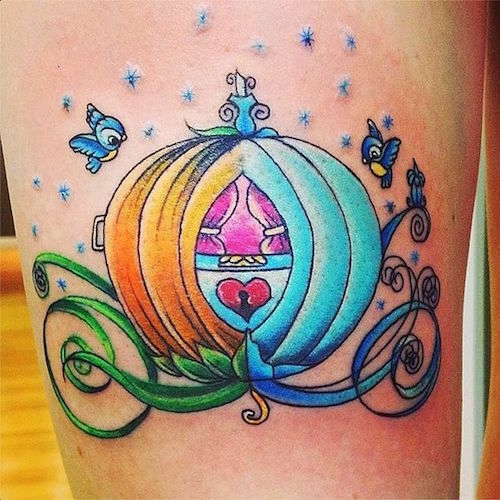 This tattoo shows the complete transformation of Cinderella’s pumpkin carriage which creates a rainbow-like color effect. 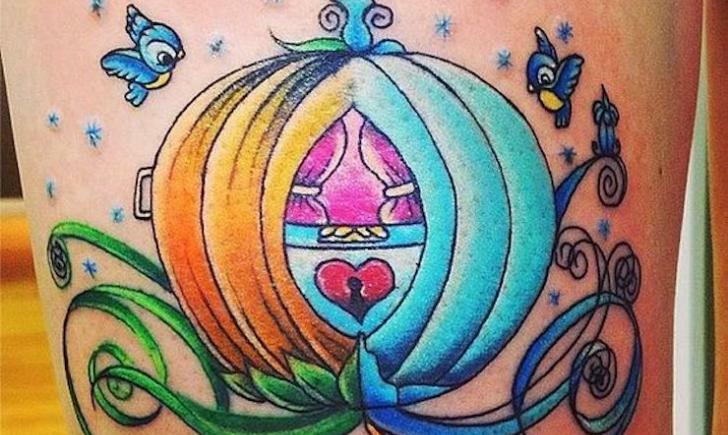 Classic Disney birds bring extra charm to the piece. 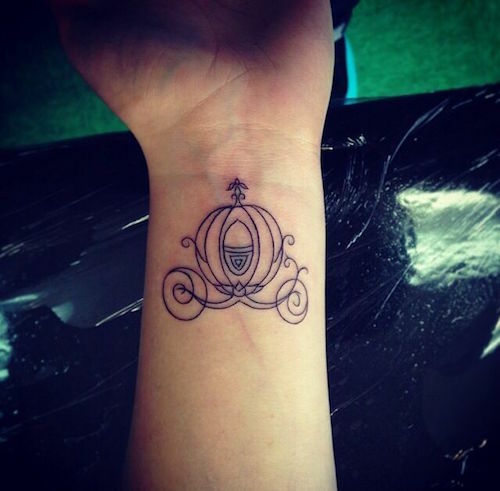 A simple black outline of Cinderella’s carriage decorates this tattoo enthusiast’s wrist. 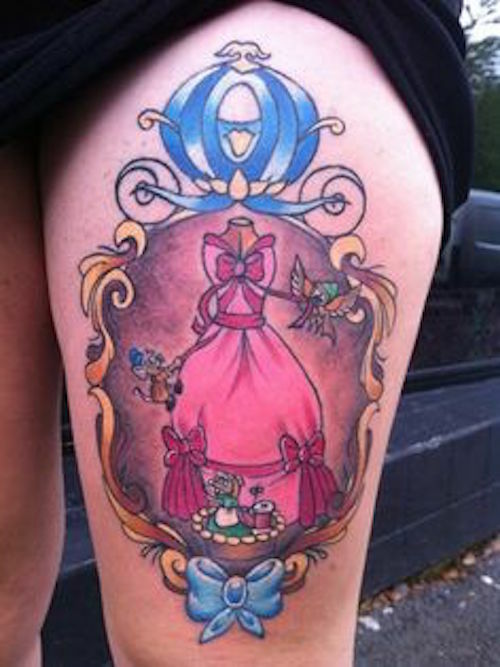 Elegant and feminine, any Cinderella fan would be enchanted by this tattoo. 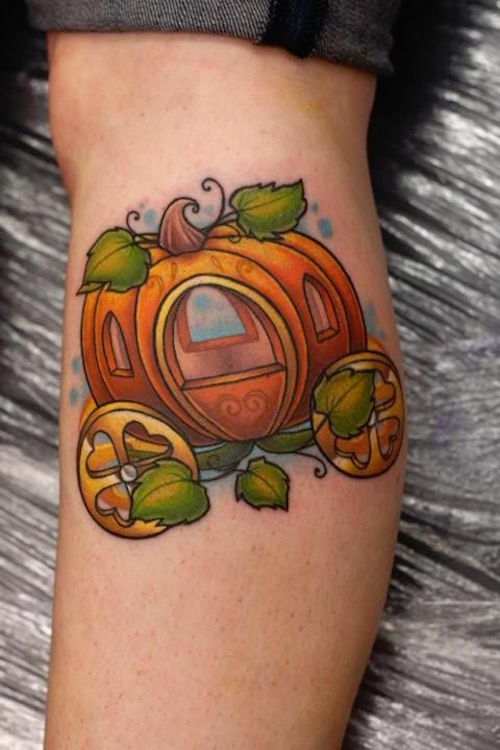 Check out the color and detail on this tiny Cinderella Pumpkin carriage tattoo! So pretty! 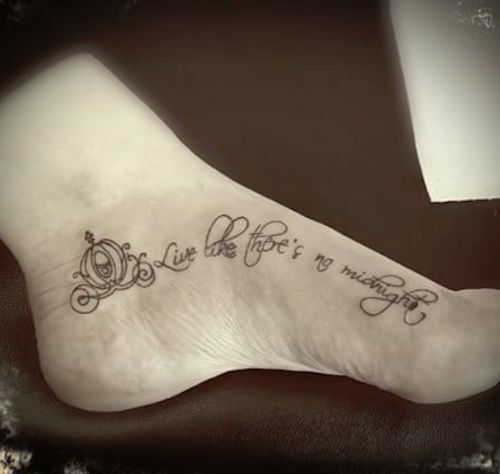 “Live like there’s no midnight” led by Cinderella’s pumpkin is a great message for all! Remember this scene in the movie from Disney? 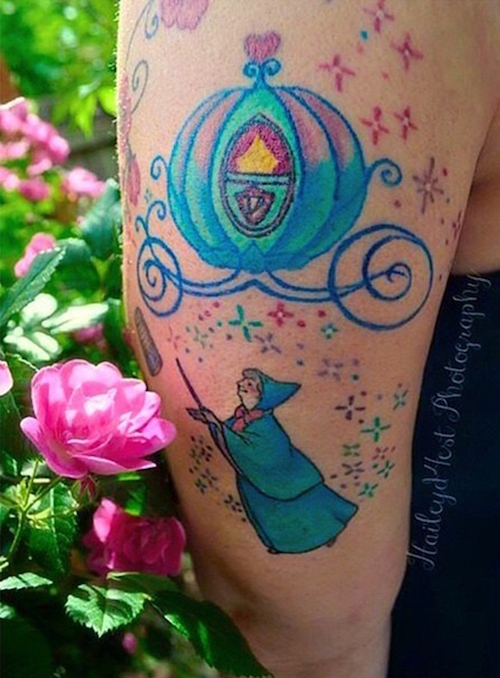 Any of Cinderella’s fan’s favorites! 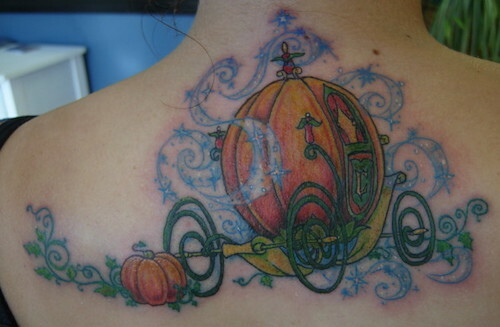 This gorgeous fairy tale, story book carriage is surrounded by magic. 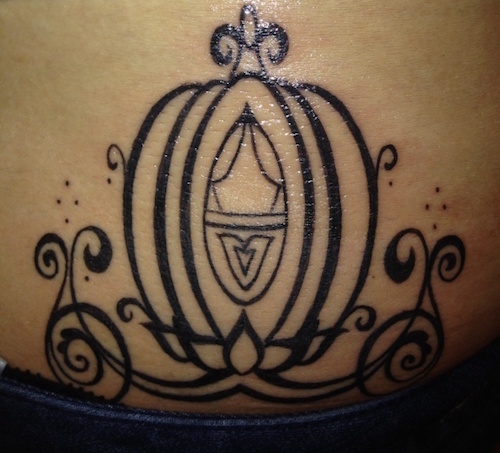 Bold, black strokes of ink create this symmetrical and stylized version of the carriage. 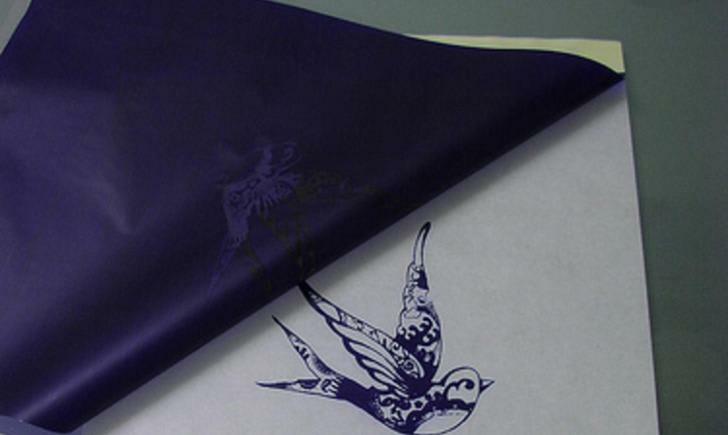 Who doesn’t wish they had a fairy godmother like Cinderella’s? 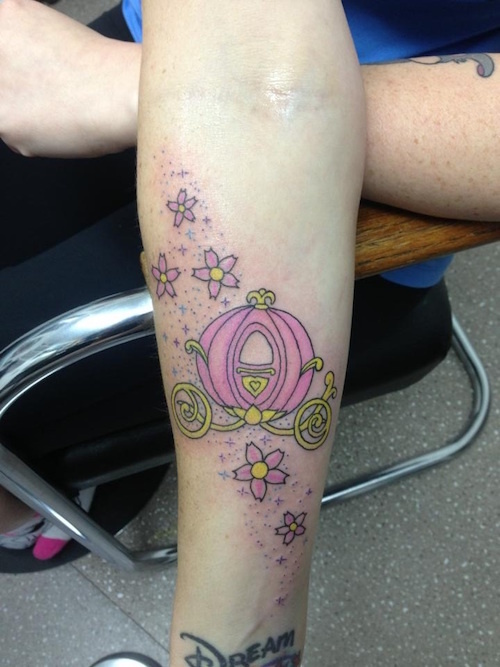 Why not make the carriage pink with cherry blossoms and pixie dust? 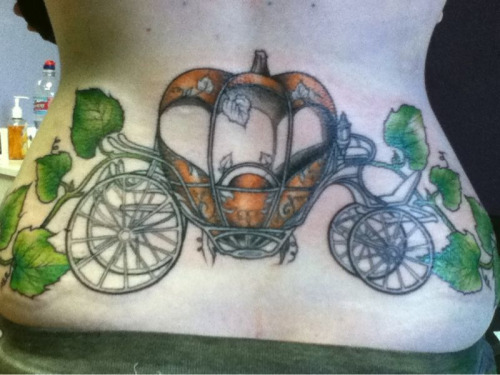 A different shape and style makes for a Victorian like version of Cinderella’s carriage along this tattoo enthusiast’s lower back.